This Queensland Fruit crunch has over six super foods packed into it and can be eaten by itself or added to your cereal, fruit, yoghurt or salad. It is perfect for busy and active people who burn huge amounts of energy and better yet, it can be taken anywhere with you! Bircher Muesli has been around since the early 1900’s when a Swizz physician Maximilian Bircher-Benner created it for his patients in hospital as a nutritious breakfast to add therapy as he believed a diet rich in raw and natural ingredients dramatically improved health. It includes rolled oats which are known to reduce cholesterol as it is a low GI whole grain. It also has a slow release of energy, which helps to keep you full for longer! It is great mixed with yoghurt that is rich in calcium and probiotic cultures for healthy digestion. Bumpy Crunchy is Helen’s number 1 best muesli and is handmade in store with love. It mixes the tastiest, high quality Honey Toasted Oats with tiny crunchy yoghurt balls, nuts and dried fruit and is all tossed together with the perfect blend of spices. Bumpy Crunchy can be served added to your normal breakfast milk or yoghurt and served with fresh fruit or can be added to the top of smoothies or Acai to add the perfect crunch. Cornflakes are a gluten free alternative to traditional wheat-based cereals. They have a mild flavour that can be combined with pretty much anything for a great breakfast. They are light and crispy and easy to digest and are also great smashed up and used to crumb meat like fish and chicken. Want to revel in your Morning? Get Up and Goji was created by Professional Chef, Nick Grivas and Naturopath/Nutritionist, Linda Brown to give you a high-protein, nutritionally balanced energy surge, in a delicious blend of organic Tibetan goji berries, honey roasted nuts, seeds and freshly-puffed grains. Goji berries are one of the world’s best sources of antioxidants and Vitamin C, and are used for their therapeutic, immune-strengenthing and energy-giving properties!! Lecithin is found naturally hidden inside foods including egg yolks and organ meats. 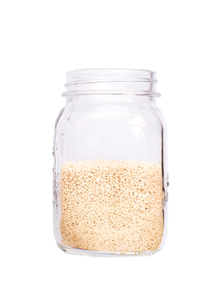 It can be found in a small granule shape and has a mild nutty taste. It is unsweetened and unflavoured and can be added to many different foods and liquids including smoothies and shakes as well as yogurt, cereals and salads. 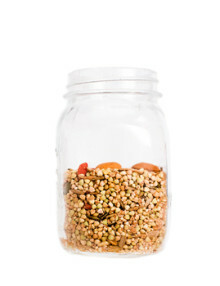 This power mix is packed full of grains, dried fruit and seeds including LSA. It is high in antioxidants and due to the ‘liver cleansing’ properties found in LSA it is also amazing for your internal organs and your general health. 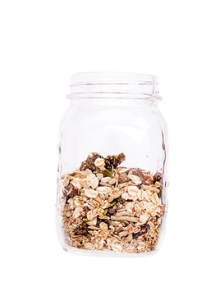 The team over at Monday Food Co has developed their company and this wonderful granola out of frustration at the lack of super nourishing, readily available breakfast options, especially Paleo ones! It is handmade in Byron Bay using 100% Organic and Paleo Ingredients. It is also Gluten, Grain and Sugar free and based upon the Paleo Ethos! Helen’s homemade muesli is the perfect combination of dried fruit, grains and nuts. This simple yet delicious muesli is the perfect base to any breakfast and can be served with milk, yoghurt and fresh fruit. This muesli is ideal for anyone who wants to minimize their gluten intake. It is made on activated raw and roasted buckwheat and quinoa, and combined with activated nuts, seeds, dried fruit and the perfect blend of spices. It’s perfectly crunchy, easy to digest and will keep you satisfied for hours! The best thing about this awesome muesli mix is that the wonderful team at Active Earth Foods have already done all the hard work and spent 3 days activating all the nuts, seeds, buckwheat and quinoa for you so all you have to do is enjoy it! !